However, I get '403 Forbidden' as a response. "The security validation for this page is invalid and might be corrupted. Please use your web browser's Back button to try your operation again." P.S. The account has definitely got the required permissions. 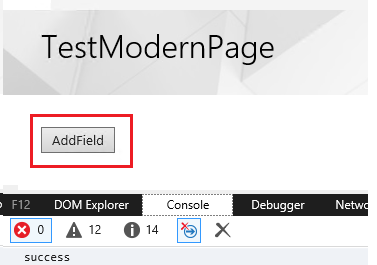 You can directly use the FormDigestValue in the RequestDigest header in Modern pages. The __REQUESTDIGEST is a hidden HTML element which is not present in modern pages. So, it had tripped up your code. Not the answer you're looking for? Browse other questions tagged sharepoint-online sharepoint-rest-api ajax json choice-field or ask your own question.